Okay, so it’s still pretty (very) chilly out there, and the last thing you might be thinking about is getting outside to enjoy your garden space. 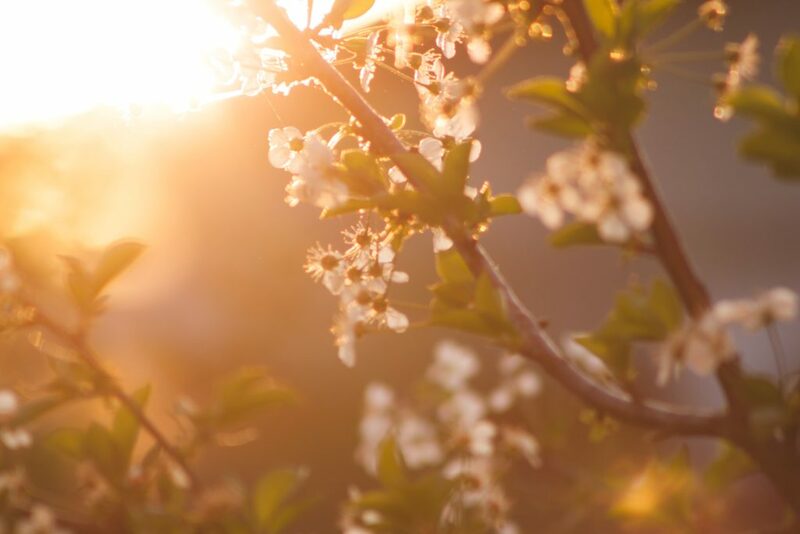 However, spring is on the way (yes, really), and, just like every year, the warmer temperatures will seem to pop-up out of nowhere and put smiles on everyone’s face. And, it’s in those blissful weeks and months of sunshine, that you’ll want to be outside with those you love the most, listening to birds, and soaking-up some much needed vitamin D. Therefore, it’s always a great time to be thinking about how you can make your garden as magical as possible for the warmer months, whatever time of year it might be. If you’ve got kids, the garden can become even more of a haven; somewhere to play and learn about nature so that your little one’s grow-up loving the outdoors. Fortunately, there are plenty of ways to improve a garden space that won’t take much maintenance (phew). These are not suggestions for those who picture perfectly trimmed grass, and neat topiary. These are some ideas to help busy mums create a beautiful garden space, where magic, imagination, and fun, are the main ingredients. As previously mentioned, you’ll probably want something fairly low maintenance, and pretty robust, especially if your little ones will be tearing through the space and making the most of it. Therefore, don’t be too precious about neat flowerbeds and pristine borders; gadens can be just as beautiful with rustic wild flowers, trees, and shrubs, that are allowed to grow with the seasons. You could even consider looking into easy-peasy seed mixtures and game cover so that you can cover a larger space with a variety of plants. Pop some hardy shrubs around, and some pots with seasonal bubs (if you’re feeling green-fingered), and you’ll have a space where nature will flock, not to mention being pretty Instagram-ready when the sun’s out. Once you’ve got all the nature sorted out; it’s about creating a fun space for the family to enjoy. Obviously, there’ll need to be some seating for the grown-ups; think about painting a secondhand bench and popping it in a heavily-grown area, so that you morning coffee can be a blissful time of the day. A little table and chairs wil also help to ensure that you’re making the most of the space. If you’ve got a sturdy tree branch, pop a swing on there; so much fun for kiddies and adults alike. Make trails and paths with some crazy paving, pebbles, or bark; you can lead them around the garden. Put some solar-powered lights in corners and near pretty trees and plants; it will come alive at night, so when summer gets here you’ll spend long evenings outside together. Hanging bird feeders, adding hedgehog homes, and obviously, the odd gnome or flower fairy, won’t go amiss either. Emphasise the magical exploring and discovering element, and you’ll have a garden space that attract nature, and is a gorgeous environment during any season.